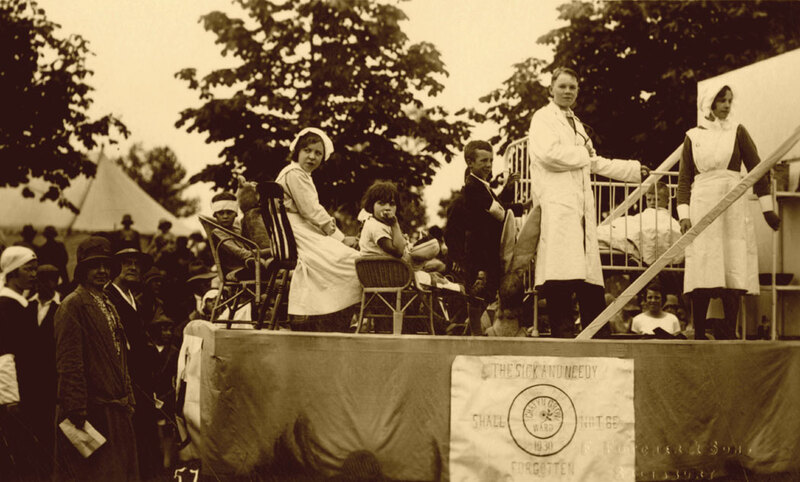 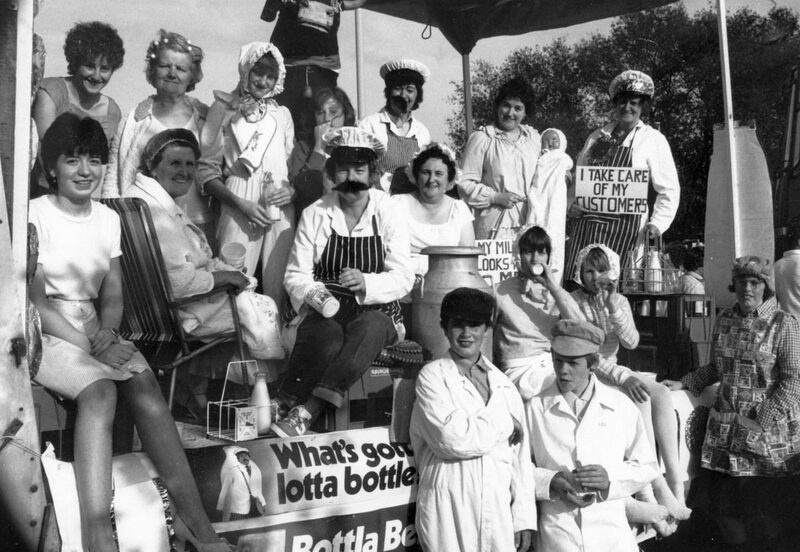 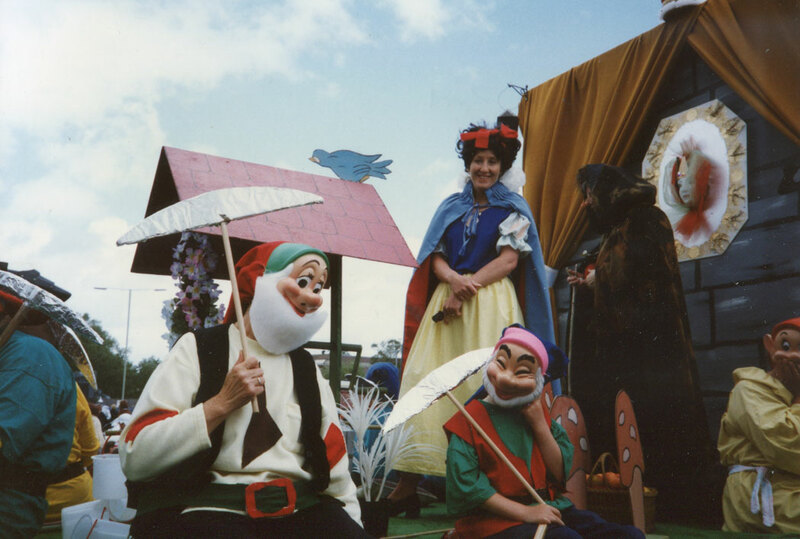 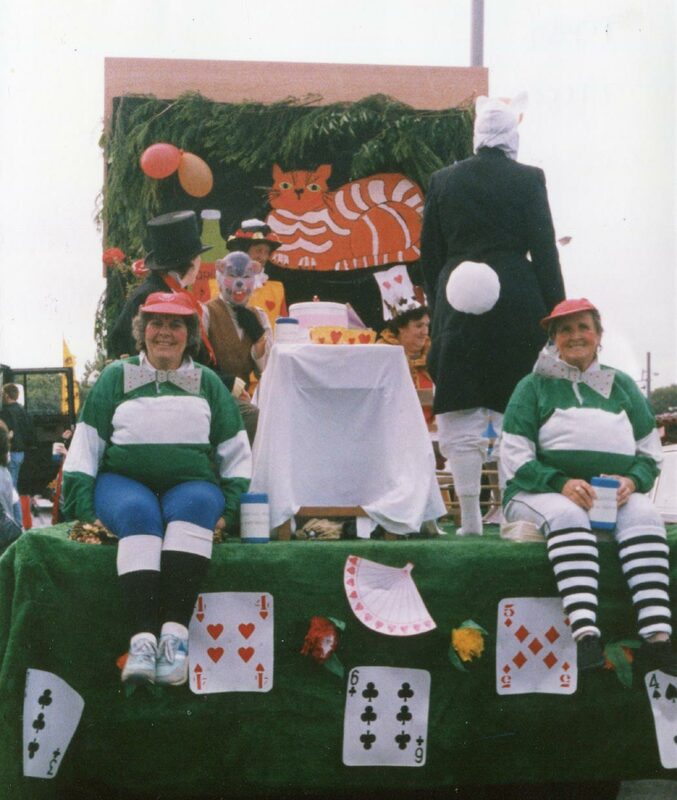 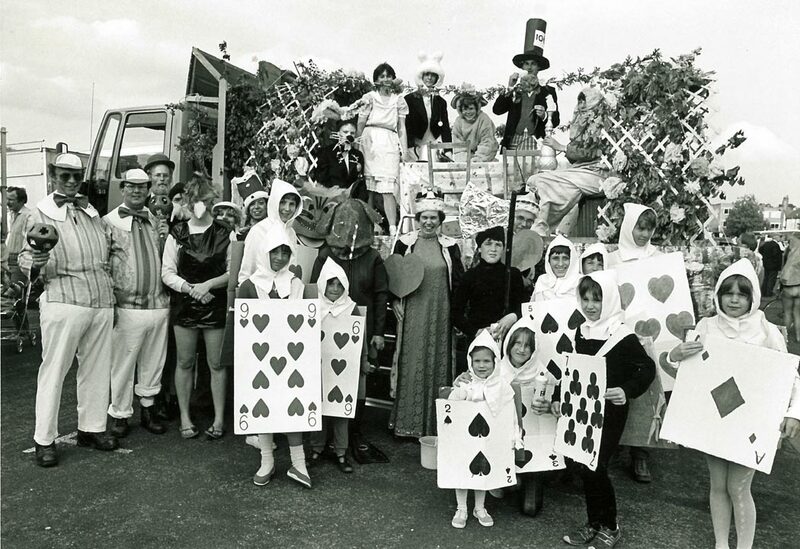 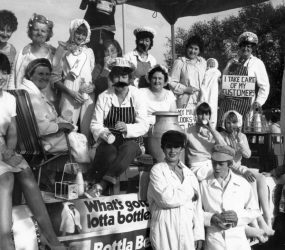 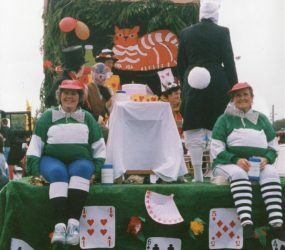 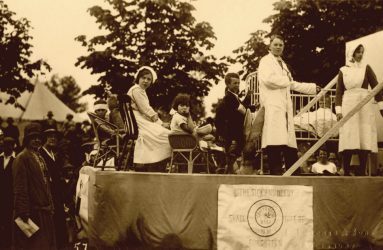 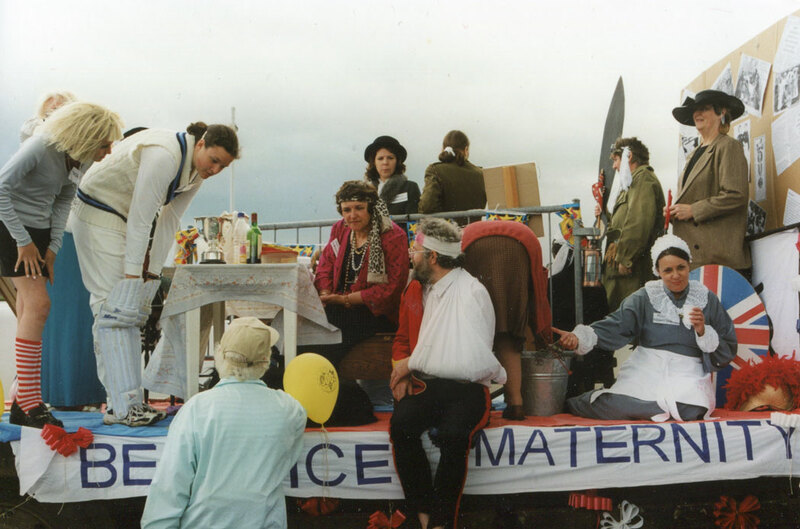 After the 1930s fundraising carnival there has been a long tradition of supporting the hospital by dressing up on carnival floats. 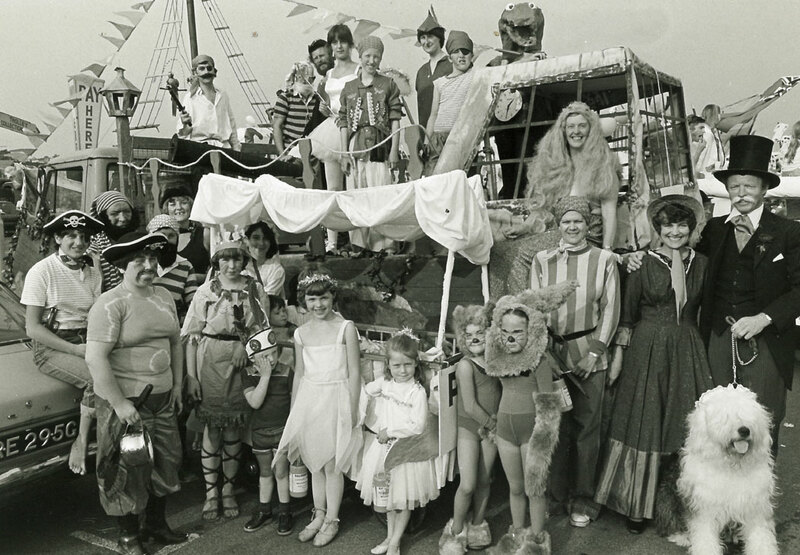 Below we have picked out some highlights from our photographic collection. 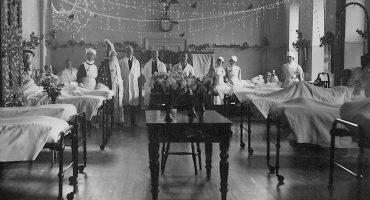 Our collection includes two sepia toned postcards by F Futcher & Sons of Salisbury. 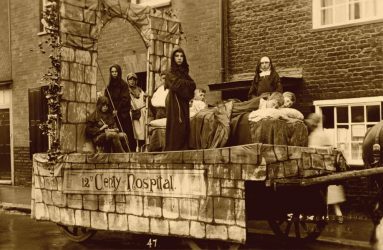 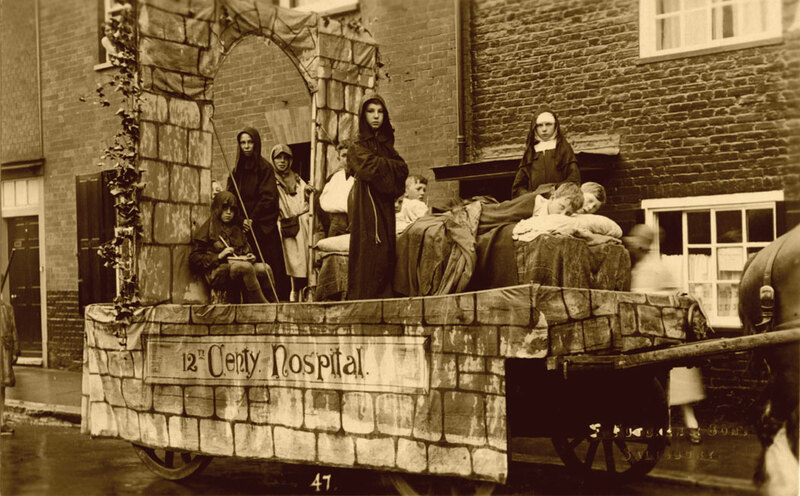 One shows a float displaying the 12th Century hospital with monks and nuns looking after patients. 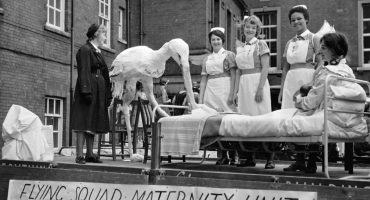 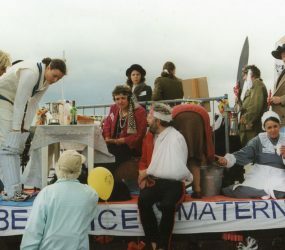 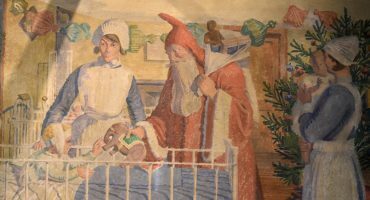 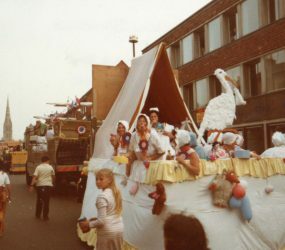 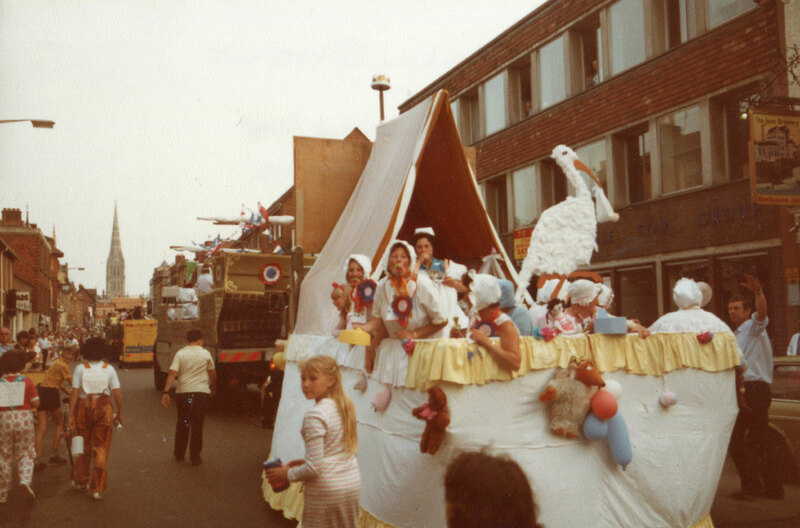 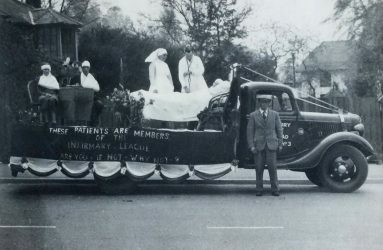 This was closely followed by the float showing the modern hospital Chafyn Grove, children’s ward, at Salisbury General Infirmary. 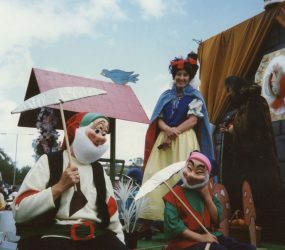 These are likely to be participants in the 1930s carnival procession. 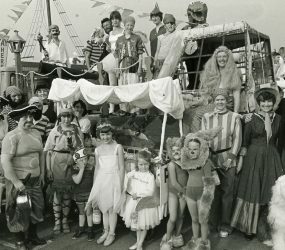 A black and white photograph from 1937 shows a carnival float on the back of a truck. 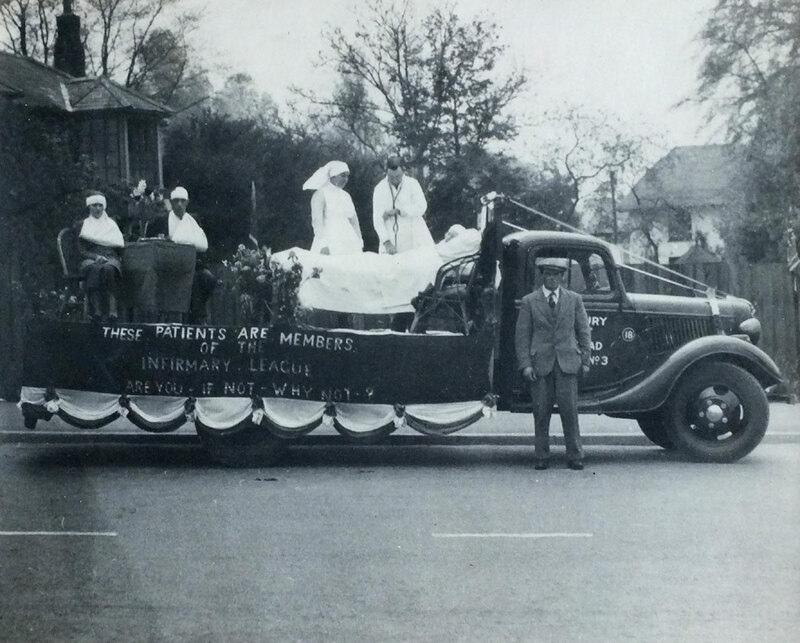 This entry into the procession shows support for the Salisbury Infirmary League. 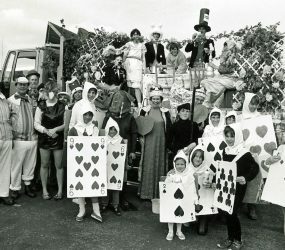 Some photographs from more recent years include the childrens unit staff dressed as pirates and an Alice in Wonderland theme. 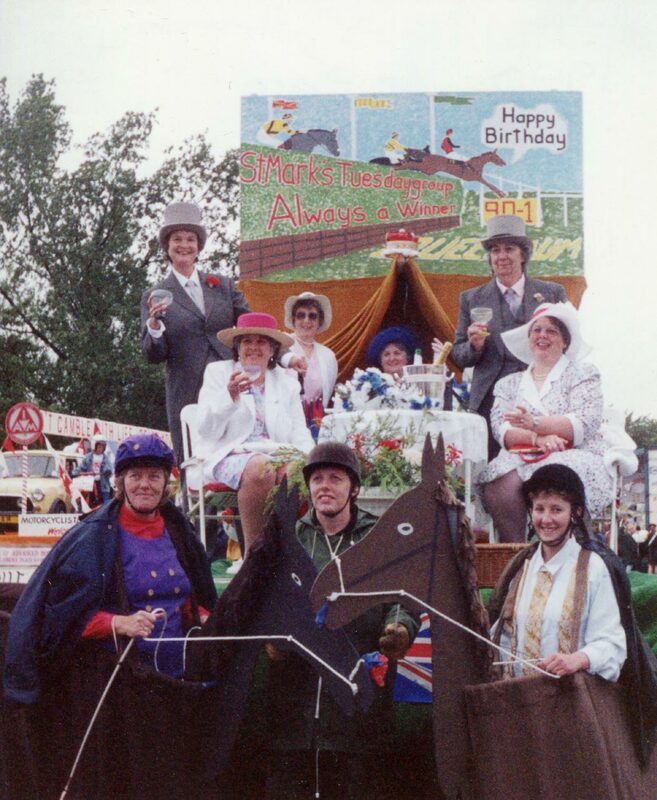 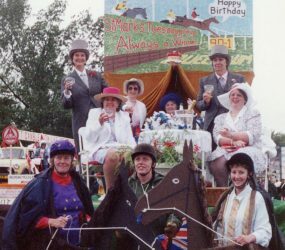 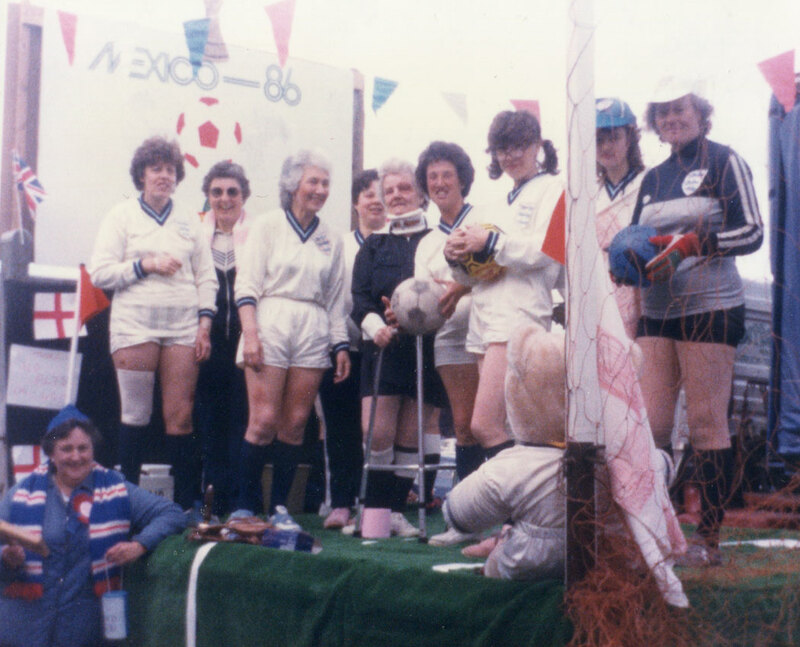 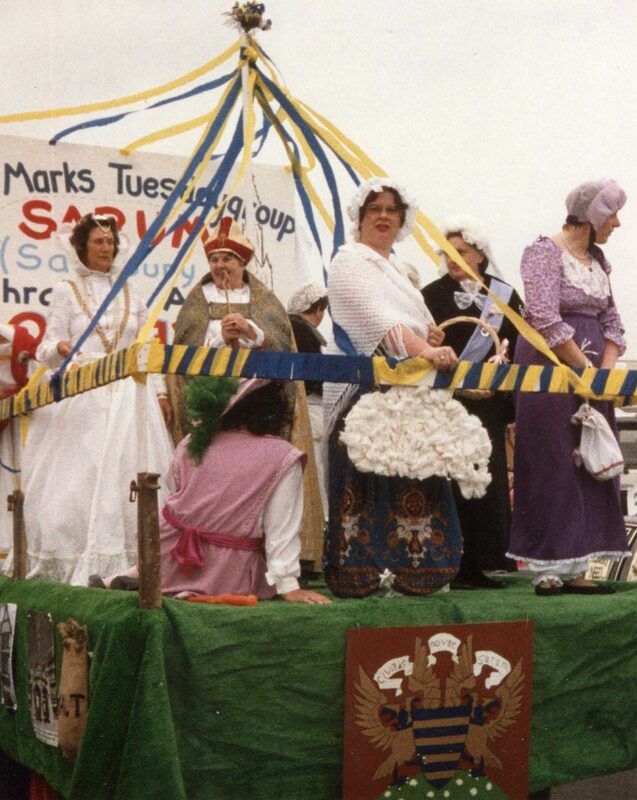 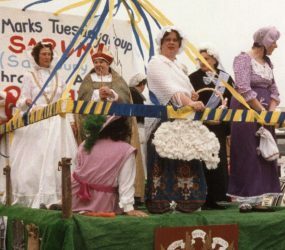 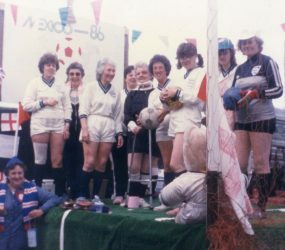 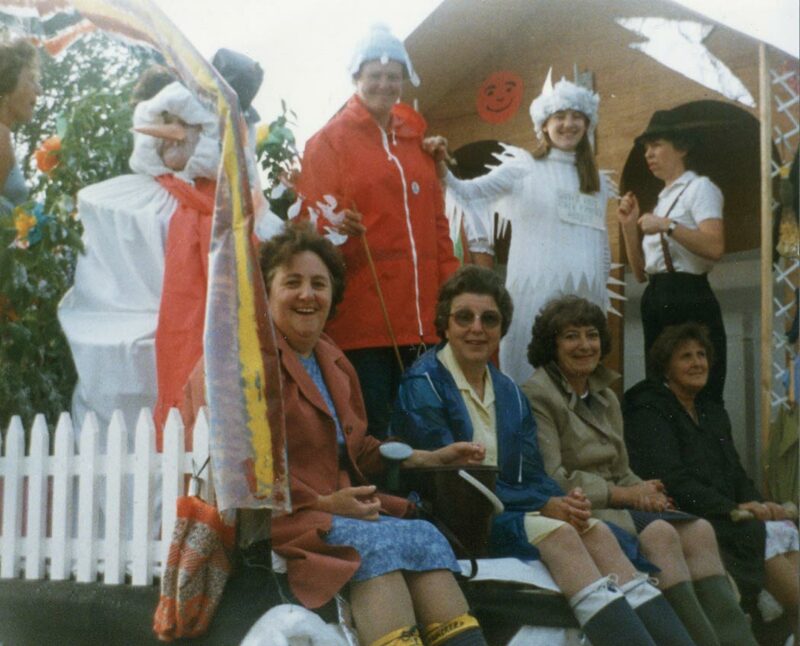 The Tuesday Group Bishopsdown (formerly Young Wives Group) regularly entered into the carnival spirit and their themes have included milkman, Snow White, Alice in Wonderland, Sarum, horse racing, women through the ages, stork delivering babies, weather and Mexico football world cup.